Galen Iverstine spent his senior year at LSU searching for a career that would allow him to fill a need in the community. An English class focused on food policy and agriculture piqued his interest in alternative, sustainable farming methods. After a few days of research, he decided that sustainably farmed livestock was what he wanted to bring to Baton Rouge. He learned the ins and outs of his new interest on a small farm in New Hampshire. Upon returning, Galen and his father purchased 65 acres of land in Kentwood, and about 9 months later, in the summer of 2010, Iverstine Family Farms made its debut at the Red Stick Farmers Market. Countless Saturdays at the farmers market garnered Iverstine a loyal following in Baton Rouge, where restaurants were also increasingly turning to him as a meat supplier. With a desire to establish a brick-and-mortar presence in mind, he purchased land on Perkins Road in 2014. Two years later, he opened a full service retail butcher shop. It allowed him to scale the business, have more flexibility over how to maximize the value of a whole animal, and better cater to Baton Rouge cooks—professionals and amateurs alike. The biggest challenge was ramping up production. “In this business, if you have a new sales outlet, it’s not like you can just have it ready tomorrow.” Iverstine has since mastered the art of butchery, and now enjoys educating customers about new cuts of meat and their potential uses. With the butcher shop now well-established, Iverstine is focused on getting his products to more people. One way he plans to do that is by developing a food subscription service that would deliver fresh meat to homes bi-weekly. “One thing people forget is that we don’t just have a fancy steak for a special occasion. 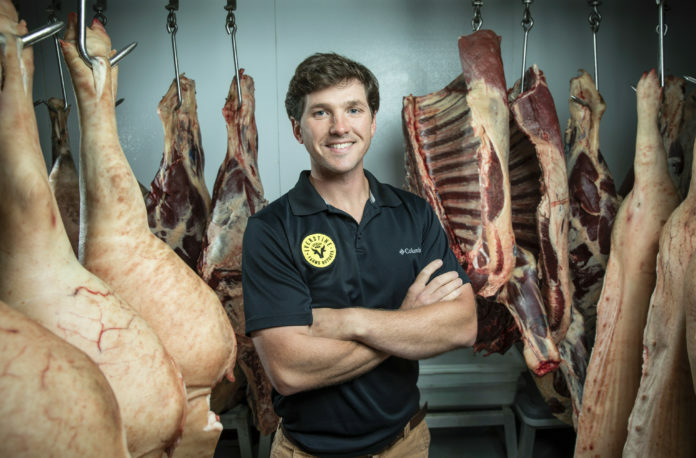 We have a cut of meat for every night of the week that can be affordable in a subscription.” Long-term, Iverstine hopes to have his own processing facility where he can create more value-added products like jerky, snack sticks and smoked sausages that can then be sold wholesale to grocers and restaurants in Baton Rouge and beyond.